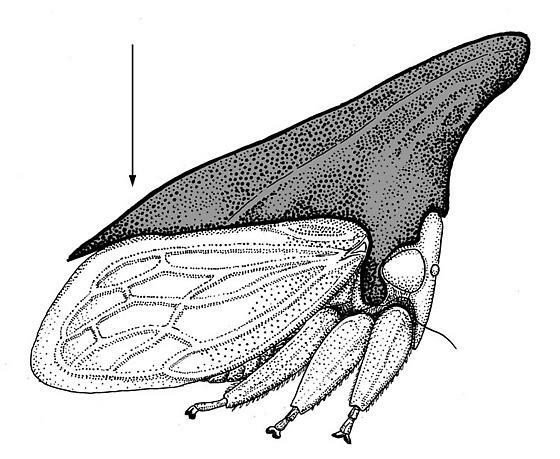 A drawing showing the pronotum that extends back over the abdomen, a characteristic that is unique to Membracids. And very useful...Thank you for posting it! I posted this because I thought it might be useful on an info page. If not, perhaps it should be frassed. Great idea--this will make a nice thumbnail on the guide page. I just want to be clear that this is your own artwork? OK, I moved this to the family level and will put a thumbnail on the family page.